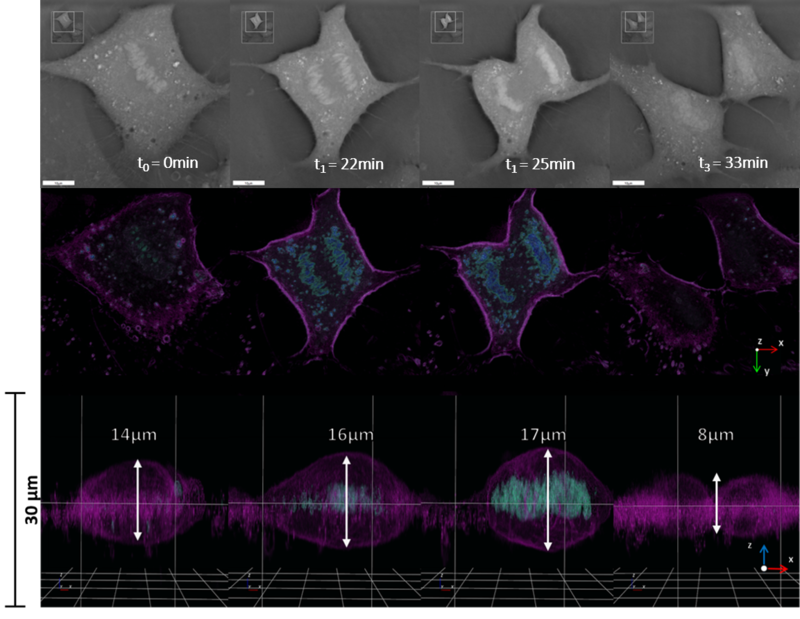 Holotomographic live cell microscopy reveals pre-mitotic nuclear and organelle rotations in mammalian cells. 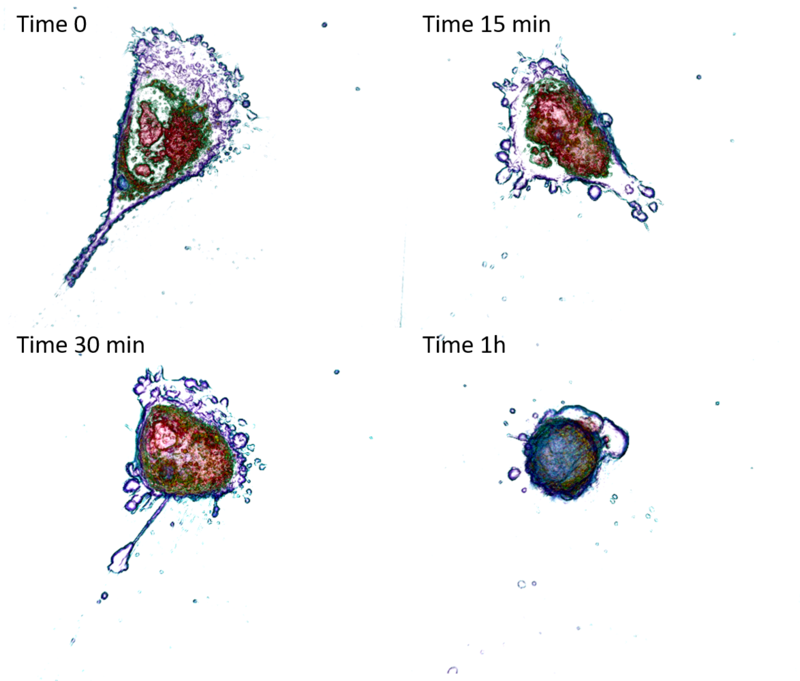 Monitor changes in nuclear RI, shape and size during mitosis (e.g. DNA condensation, chromosomes alignment and segregation). Analyze chromosomes 3D shape and segregation path: The RI of the DNA dramatically changes during mitosis.